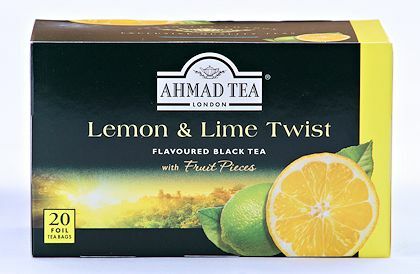 Twenty teabags of Lemon and Lime tea from Ahmad Tea. Black tea with the traditional fresh citrus aroma and flavor of lemon and lime. Can be served hot or iced. 40 g. Individually foil-wrapped teabags. Packed in Sri Lanka.